Delhi is the most excellent place for education and renowned colleges are located in Delhi, which is the preferred destination for the aspirants for higher studies. Aspirants from different countries come to Delhi to pursue higher studies. It’s the most popular destination opted by national and international students. The colleges in Delhi are either administered by the Directorate of education or private organizations. Literacy rate is high in Delhi when compared with other states. The quality of education attracts the many students to opt Delhi for their higher education. A special education is provided by the colleges in Delhi by giving practical application of knowledge for future apart from providing classroom education and learning. The lecturers and professors in Delhi are well versed and experienced. The Colleges in Delhi mainly focus on overall development of the student. Delhi is the right place for the students who want to go for higher studies. Here you can find wide range of courses for you to find a stable job. The various colleges located in Delhi are Medical Colleges, B.Sc nursing Colleges, Dental Colleges, Computer Colleges, Engineering Colleges, Management Colleges, Ayurveda Colleges, Homeopathy Colleges, Library Science Colleges, Law Colleges, LLM Colleges, Advertising Colleges, Fashion designing Colleges, Accounting Colleges, B.Ed Colleges, Pharmacy Colleges, Graduation Colleges, Physiotherapy colleges, Architecture Colleges, Mass communication Colleges, Unani Colleges and other institutes. 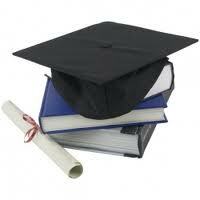 "Following is the list of Colleges in Delhi. All Colleges in Delhi are divided into Location wise. We have even listed College in Delhi as per alphabetical order which is easy to find the desired college and information on it. If you come across any college in Delhi which is not found from our list below, please do let us know by using add in list which is default in our website”.